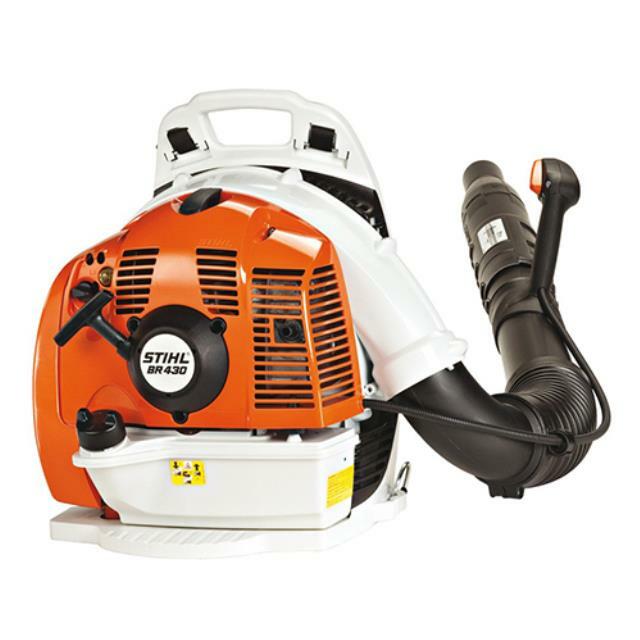 With its powerful air flow, the Stihl backpack blower is the preferred choice for professionals. Features easy grip throttle control with on/off switch, variable-speed trigger and trigger lock for constant air flow, swivel air tube for directional control, quick-adjust straps for comfort, and shock-absorbing starter handle. Click here for the Stihl BR430 operator's manual.